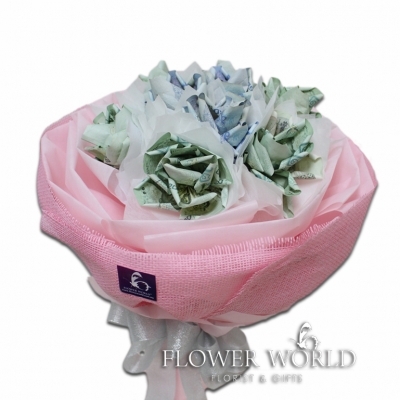 A toy bear made with fresh purple Pom Pom. 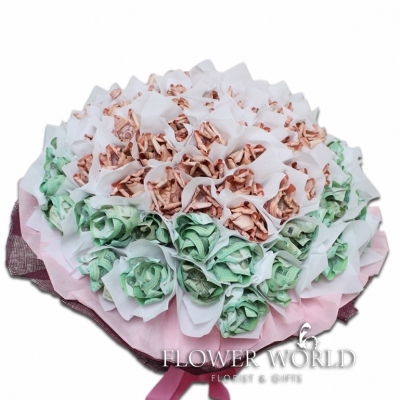 A basket of purple Eustomas and a box of Ferrero Rocher. 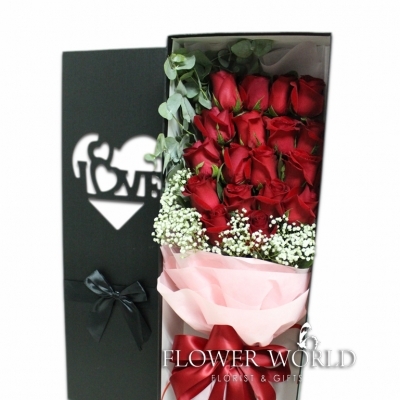 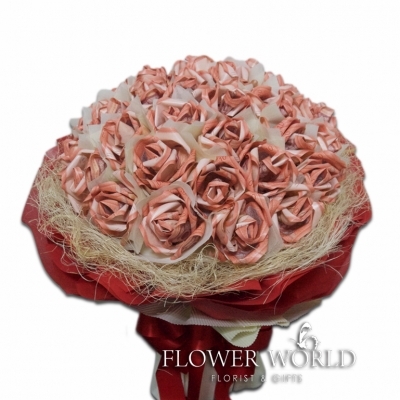 A special gifts of 24 red roses arranged in a long box along with baby's breath and eucalyptus leaves. 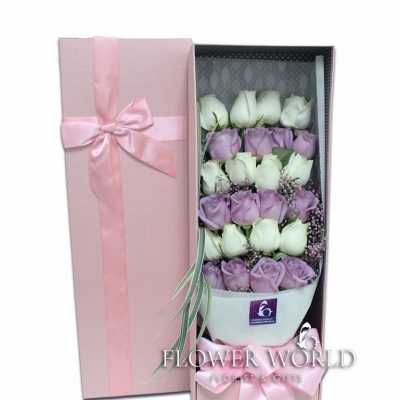 A modern bouquet of 24 roses in white and purple arranged in a long arrangement and placed in a long box. 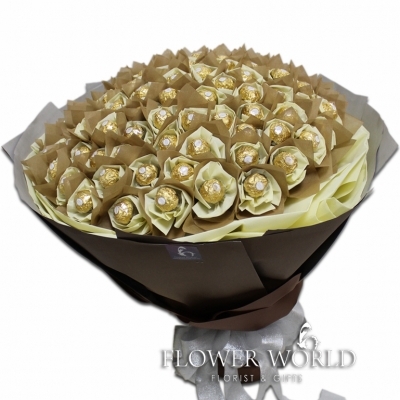 99 Ferrero Rocher chocolate arranged in a round bouquet.